Bankruptcy Lawyers and Foreclosure Attorney, Melbourne FL, Palm Bay FL, Cocoa FL and Titusville FL. If your bank is threatening you with a foreclosure in Melbourne or Palm Bay Florida, contact our Melbourne Florida Foreclosure Attorney to determine what options you have to save your home. Our Melbourne Foreclosure Attorney, Beau Bowin, has been nominated by his peers as a Rising Star in Florida Super Lawyers Magazine for 2010, 2011, 2013 and 2014, a preeminent national attorney ranking published by Thomson Reuters. The Rising Stars designation is an honor reserved for only 2% of practicing attorneys in the nation. Attorney Bowin is the only foreclosure attorney in Melbourne, FL and all of Brevard County to earn such a distinction. Attorney Bowin also received a 10 out of 10 rating by AVVO, which is one of the largest online legal directories in the nation. Attorney Bowin accepts foreclosure cases throughout Brevard County, including West Melbourne, Melbourne, Palm Bay, Cocoa, Merritt Island, Titusville, FL and the beaches. You CAN beat the banks in foreclosure court and save your home.Our foreclosure attorney has had great success in defeating the banks and stopping the foreclosure of our clients' homes (unlike other foreclosure attorneys who only seek to settle with the least amount of work). Winning a foreclosure case takes specialized knowledge of the mortgage banking system and the applicable foreclosure laws in the state of Florida. Winning a foreclosure case also requires a working knowledge and understanding of the foreclosure judges you will be appearing in front of. Each foreclosure judge is different, and so must your defense change depending on your judge. Unless your attorney specializes in foreclosure defense in Brevard County, your attorney will not have this critical knowledge. It's imperative that you contact a foreclosure defense attorney to defend your foreclosure. In your initial consult, we will review your case to determine if and how we can win your case. Our foreclosure attorney is ready to fight your foreclosure case, at trial if necessary, and do whatever is possible to save your home. In some cases, the banks offer our clients a modification of their mortgage. In other cases, our clients would rather leave the home and wipe their debt clean with the bank. If neither of those two options is available or desirable, we are ready to fight the banks all the way through trial. Best of all, if we win your case, the bank will likely have to pay your legal fees. If you are not concerned with keeping your home, but prefer to vacate your home free and clear of your financial obligations to the bank, we have options for that as well, including short-sale, strategic default and deed-in-lieu of foreclosure. We offer free consultations to all Brevard County Residents. Stop your home foreclosure through foreclosure defense or bankruptcy. If you are faced with a foreclosure on your home mortgage, you have options that may allow you to stay in your home even if you are behind on your payments. Sometimes your best option is a Chapter 13 bankruptcy. Sometimes you are better off fighting the foreclosure without filing bankruptcy. You need an attorney knowledgable in both bankruptcy and foreclosure defense to help you determine which option is best for you. If you live in Melbourne or Palm Bay, Florida and are being harassed by creditors, your wages are being garnished, or you are considering bankruptcy, call us today to speak directly with a Melbourne Florida Bankruptcy Attorney to discuss whether a bankruptcy is right for you and your family. The bankruptcy attorney at the Bowin Law Group is experienced in foreclosure defense , both in and out of bankruptcy court, and will give you candid, honest advice regarding the option that is best for you and your family. The worst thing to do when faced with foreclosure is nothing. Time is critical to saving your home. If your lender is threatening to foreclose, or your credit card companies and debt collectors are harassing you and your family, contact us immediately to speak with a Melbourne foreclosure defense and bankruptcy lawyer. Your home is your most precious asset. The Bowin Law Group and its experienced attorneys will help you protect it. We may be able to even recover money from your lender. The Automatic Stay: By filing a bankruptcy petition, you get the immediate protection of the Bankruptcy Code's Automatic Stay, which prevents a creditor from taking any action to collect a debt from a bankruptcy debtor. The imposition of the Automatic Stay is a powerful and dramatic legal remedy you have to stop creditor harassment or creditors' attempts to collect debts. The Automatic Stay takes effect the instant the bankruptcy petition is filed, and from that moment the debtor's property is placed under the protection of the Bankruptcy Court. Creditors that attempt to collect a debt after the petition is filed are subject to sanctions by the Bankruptcy Court. Any actions to repossess your cars or other automobiles and personal property. Once you file your petition, creditors and debt collectors are not allowed to contact you, either by mail, by phone, in person or through any third parties. If a creditor reports a debt to a credit bureau with an intent to coerce you into paying that debt, the creditor may be subject to monetary sanctions by the Bankruptcy Court, which are payable to you. To get more information on the effect of the Automatic Stay, contact a Melbourne-Palm Bay-Cocoa Beach area Bankruptcy Attorney at the Bowin Law Group. Discharge of Debts: The ultimate goal of filing a bankruptcy petition is to receive a discharge of your debts. A bankruptcy discharge frees a debtor from personal liability on almost all civil debts. 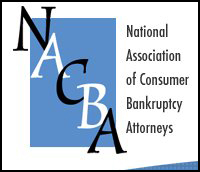 The bankruptcy discharge is the mechanism by which debtors are provided a "fresh start." In a chapter 7 bankruptcy, the method of obtaining a bankruptcy discharge is pretty straight forward. Absent extraordinary circumstances, the Bankruptcy Court usually enters a discharge order within 90 - 120 days after the bankruptcy case is filed. In a chapter 13 bankruptcy, the debtor will likely not receive a discharge for 3-5 years. An experienced bankruptcy attorney in the Melbourne-Palm Bay-Cocoa Beach area can help you obtain a bankruptcy discharge with as little difficulty as possible. To speak with a bankruptcy attorney today, call the Bowin Law Group or fill out a Free Case Evaluation form and someone from our office will contact you to discuss your situation. What debt relief options do you have if bankruptcy isn't right for you? If bankruptcy isn't a good option for you, either because you make too much money and don't qualify for Chapter 7, or because you will lose a lot of property you have worked hard to accumulate, there may be other debt relief solutions for you. One option is to hire an experienced Melbourne debt relief attorney to negotiate a debt reduction with your credit card companies, debt collectors and other creditors. Although the relief you get by negotiating a debt reduction may not be as comprehensive as a bankruptcy discharge, it may be enough to allow you to pay your debts and provide you the peace of mind you are looking for. If you would like to speak with a debt relief lawyer in the Melbourne-Palm Bay-Cocoa Beach area, call the Bowin Law Group to schedule a Free Consultation to discuss your options. Legal services you can afford. The Bowin Law Group is sensitive to your family's financial challenges. That is why we offer reasonable fees and affordable payment plan options to our clients. With our attorneys on your side, your family will receive the highest caliber representation at a price you and your family can afford. Contact us today for a free office consultation with a bankruptcy and foreclosure defense lawyer in Melbourne, Florida. Or, just fill out our Free Case Evaluation form and someone from our office will contact you to discuss your legal options. The Bowin Law Group proudly serves many areas in Florida, including Viera, Cocoa, Cocoa Beach, Cape Canaveral, Port Saint John, Titusville, Palm Bay, Rockledge, Satellite Beach, Indialantic, Merritt Island and Port Saint John. Contact the Bowin Law Group to speak with a Melbourne, FL bankruptcy and foreclosure defense attorney today!